The conference was on Friday the 10th so we packed, picked up our friend Miroslav Varga from the company Escape and hit the road. We wanted to experience local cuisine and explore the city of Niš, so we arrived a day early. As soon as we found our hotel Tami Residence we went out looking for food. 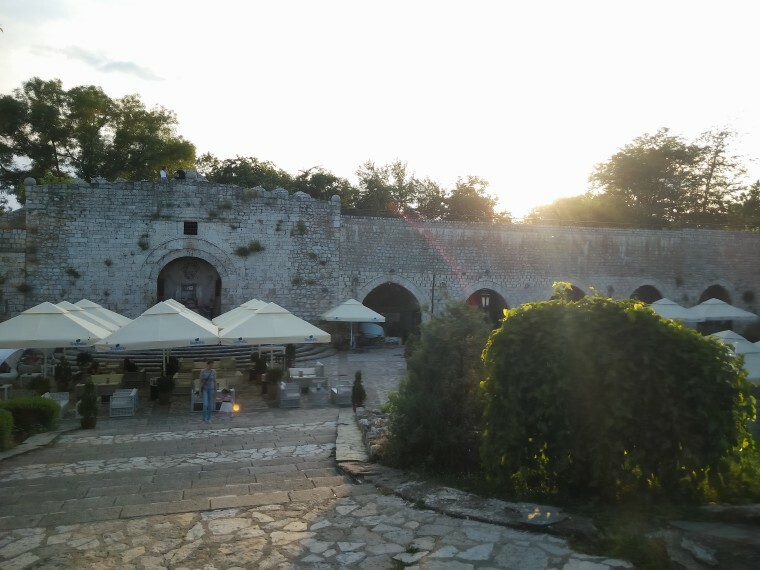 Everyone recommended Kazandžijsko sokače – the old part of the town build by the Turks. It used to be filled with craftsman shops and today it stands as the best tourist spot in Niš. Since there was a lot of restaurants, we picked Kafana kod Rajka, because it is part butcher shop and part restaurant. The idea of fresh baby pork overwhelmed us and we stayed there until dark. After our meal, we took a stroll through Niš. The city is truly beautiful, from architecture to the environment and people. I don’t know if it’s because it was a Friday night, or if it’s a normal occurrence, but all of the coffee shops and parks were filled with people. It means that the city is “alive” and you can feel the good vibes. We spent our first night in the hotel, around Ben Marks, the Atwix crew, and Younify team. 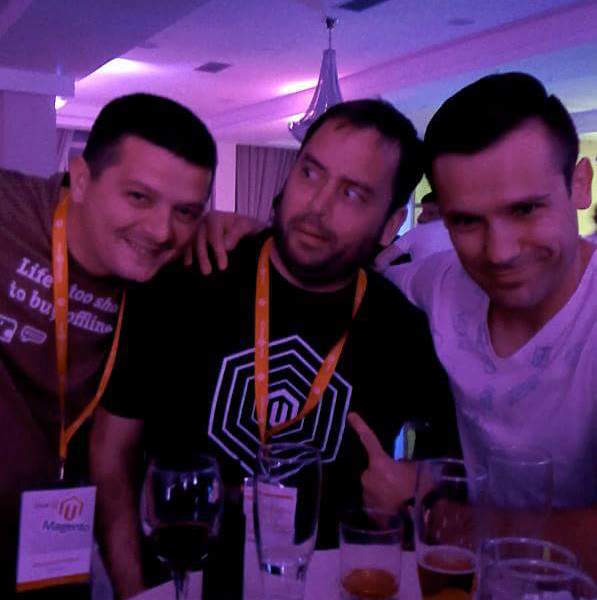 We shared Magento “war stories” and talked about what lies ahead. Some people even went on a night out, but we skipped that, knowing that we are in for an early start tomorrow. Looking around the venue, it was clear that the conference was going to be great. The next morning, we got registered and the lectures began. The lectures were arranged into Business and Technology, and after Ben Marks gave an opening speech, attendees split into those two groups. Ben talked about Magento 2, where it stands now and where they plan on taking it in the future. After his speech, I decided to attend lectures in both groups. 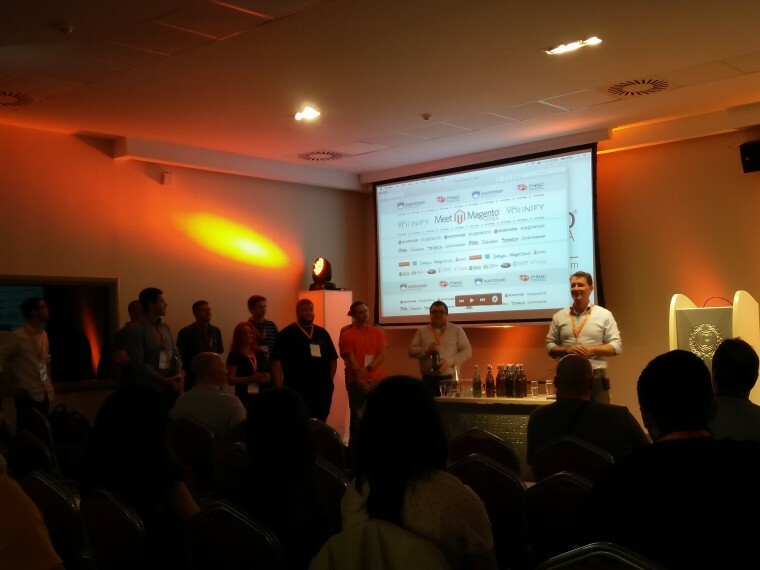 The Technology stage was focused on Magento 2, and that is where our Stanislav gave his lecture. He talked about Magento 2 Frontend Architecture and what challenges FE developers face on a daily base. I must admit that his lecture had a great attendance and a lot of people engaged in the discussion. It’s a good sign when experts bend together to find solutions to the problems they all face. At the same time, on the Business stage, our friend Miroslav Varga had a lecture on The lesser known uses of Google AdWords. He talked about advanced Google Tools and how to use them. He’s an experienced lecturer so following him was no easy task. I attended a lot of interesting lectures, to mention a few that had a real impact – Yaroslav Rogoz from Atwix, Jelena Radovanović from Younify and Nils Preusß from Pollo Motorrad on the Tech stage. Naturally, they all talked about Magento 2 which is important at this time while it’s still new. On the Business stage, I would single out prof.dr. Cor Molenaar from Erasmus University Rotterdam. His lecture was about The fourth industrial revolution: chances of the platform revolution for retail, industry and supply chains and it left us in awe. After a day of amazing lectures and networking, the organizers thanked all the speakers and lecturers and gave out special Youinify edition of plum brandy. A huge applause and room filled with laughter were great signs that the conference went well. That night we attended a Cocktail party that was held in the restaurant of the hotel. A rock band was playing and everyone was dancing. Later the party moved to a local rock club where we danced the night away. The time flew by and before we knew it, we were saying goodbye and packing our bags. We would like to use this opportunity to thank the organizers and to give advice to future travelers to Niš – you have to go see the Ćele tower and hear the amazing story of the battle that took place there.